Whether children live near or far from the ocean, the vast sea and the warm beach to accompany it is a fascinating environment to explore for preschoolers. Included in this beach theme are the following curriculum components: sensory processing, language arts, science, dramatic play, art and math. Present each lesson or theme in a small or large group setting, depending on the flexibility and capability of each unique preschool classroom. The theme components for this activity are language arts, science and sensory processing. 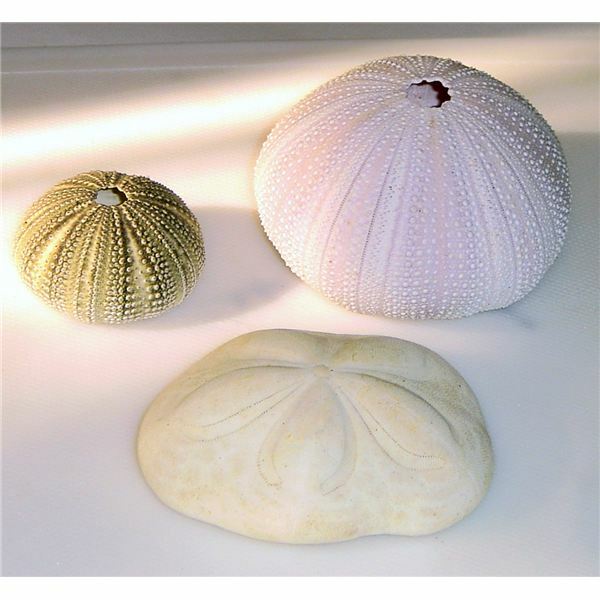 Find sea shells at craft stores, through donations, or on a personal trip to the beach. Lay the shells out for preschoolers to explore with their hands and with magnifying glasses. Show preschoolers how to listen to large shells by placing the opening against the ear. Provide the area with paper, pencils, and crayons. Encourage preschoolers to draw or otherwise describe how the shells feel, sound, and look. Further encourage preschoolers to draw copies or trace the shells onto their papers. Speculate what the special job of a shell may be when it is in the ocean and provide pictures of crabs for the students. If possible, provide a pet hermit crab for the class or ask to borrow one for the children to visually experience the purpose of the shells. Sea shells can break easily, and, when they do, they are very sharp. Encourage children to handle the shells carefully and assist all children in the shell station. The theme component for this activity is science. Purchase seaweed from a grocery store. Seaweed can be found near the seafood department or in the specialty area of the store. Place the seaweed into a sensory table full of normal tapwater. The seaweed will rehydrate and replicate the smell of the sea. Allow the seaweed to soak overnight, and allow the children to explore within the sensory table. Ask preschoolers to talk about the feeling of the seaweed and if they have had any experience in real life with seaweed. Talk about seaweed in the ocean, and ask students to note if the seaweed sinks or floats in the water. Rubber bath toy replicas of marine animals such as whales or starfish may be added to the tub for additional play. The theme component for this activity is dramatic play, and science. Use empty soda or water containers to create the ocean in a bottle. These sensory bottles can be used as shakers in the dramatic play area during music time. Clean the bottles of all substances and fill the bottle halfway with water. Drop enough blue food coloring into the bottle to create a deep blue color. Insert small erasers with images of boats, bouys, lighthouses, and other images which float on an ocean. Glue the lids to the bottles with Elmer's glue and allow the bottles to dry. Allow children to move the bottles back and forth to make waves inside the bottles. Play games during music and dramatic time such "Calm Ocean." Call out "Calm Ocean!" and instruct children to move their bottles slowly. Call out "Hurricane!" next, and instruct students to move their bodies and bottles in crazy directions. The theme components for this activity are art and science. Sand art is simple but instructional for preschool students. Divide sand into individual boxes for each student. Allow students to explore the sand at their seats, holding and dumping the sand for a few minutes. Give each child a piece of paper and a glue bottle. Instruct children to use the glue bottle to create a picture representing sand on the paper. Some students may use the glue to make flowing lines because sand flows, others may make dots because sand is gritty. Assist children to cover the glue with the sand, then shake off excess sand. Ask each student to put words to the picture and copy the words onto the image. The theme component for this activity is math. Use different shaped ocean-themed objects such as rubber bath toys, shells, starfish, and pictures of ocean life for this activity. Give children categories such as colors, sizes, or shapes for sorting the objects. Buckets may be labeled for sorting activities or index cards may have images to assist with sorting. After the student sort with guidance, take away the visual prompts and ask students to choose their own categories for sorting. Review with students their reasons for choosing each sorting method. Is it the size? Is it the texture? Is it sorted by things they have seen and things they have never seen? The theme component for this activity is literacy. 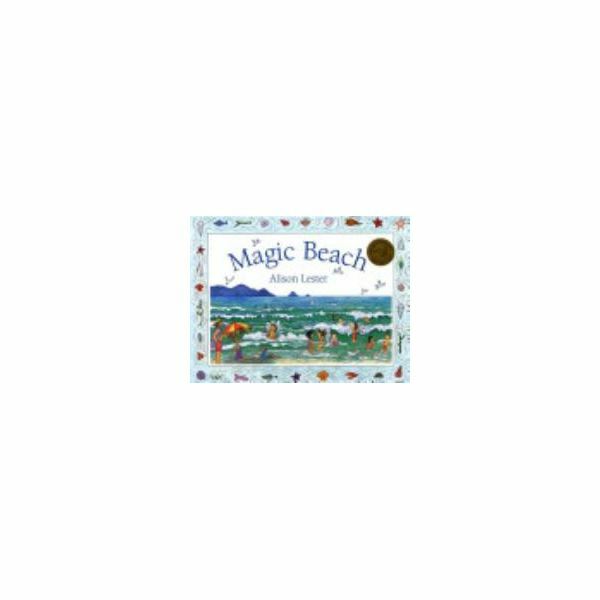 Provide the literacy center with books including vivid pictures and fun words such as Magic Beach by Alison Lester or Harry by the Sea by Gene Zion. Use the books for group reading or individual discovery. Ask children to identify images, guess endings, or talk about their own beach experiences relating to the book. Children will laugh at the antics of Harry and will marvel at the realistic pictures compared to imagination in Magic Beach. A preschool theme for beach science is one of the most fun themes in a preschool classroom. This unit is very hands-on, and the children get to experience new materials such as the seaweed or learn more about old materials such as the sand. The ocean is examined at a deeper level with this science theme through the guidance of the teacher and the ever fluid ideas of the children. Allow students to lead discussions in this unit and the results will be a new viewpoint of the ocean and all the vast sea encompasses. Zion, Gene. Harry by the Sea. HarperCollins Publishers, 1965.